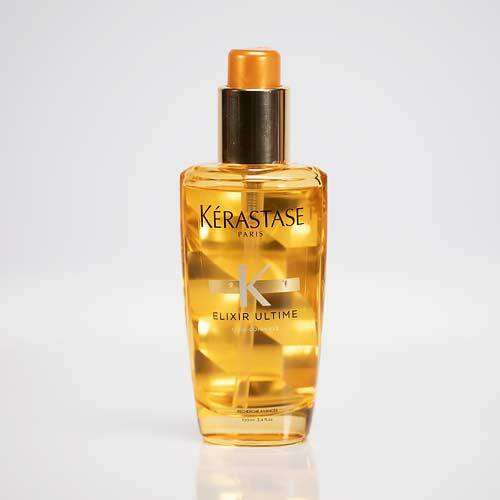 Volume-enhancing beautifying oil for all hair types. Shake Elixir Ultime Bi-Phase Spray Oil well to blend the formula. Spray section by section throughout lengths and ends of dry or towel-dried hair and style as desired. The Bi-Phase Spray Oil expands thickness and volume with ultimate shine and lightweight softness. All the nourishing benefits of hair oils without being weighed down.